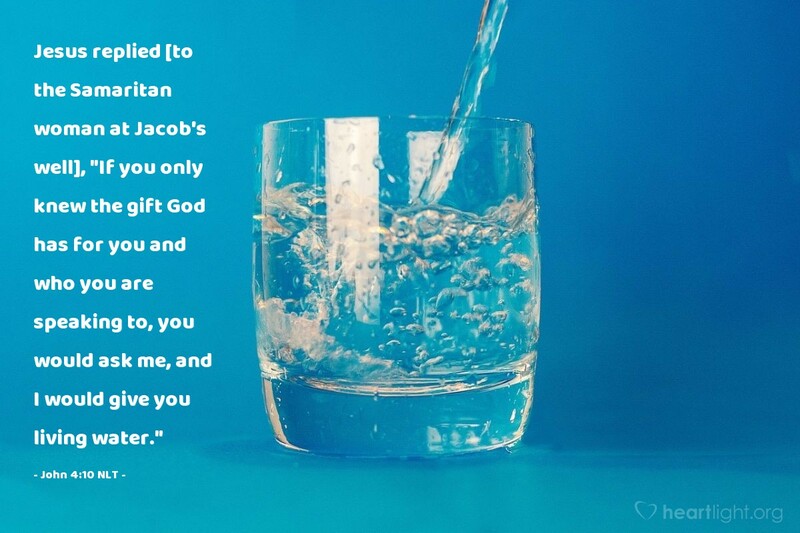 Jesus replied [to the Samaritan woman at Jacob's well], "If you only knew the gift God has for you and who you are speaking to, you would ask me, and I would give you living water." But we do know, don't we? We do know who is talking with the woman at the well! We do know that he is the gift of God! So why don't we ask that the Lord Jesus slake our thirst with living water? Lord Jesus, please make me alive to your living water welling up within me. Slake my thirst. Nurture my soul. Fill me with your grace. Uphold me in your presence. Please energize me in these ways through your Spirit to the glory of your name and to the praise of our Father in heaven. Amen.